Convertica eCommerce & membership website development » UX UI Front-end Development » 4 Reasons Why Your Online Store Is Failing To Sell! 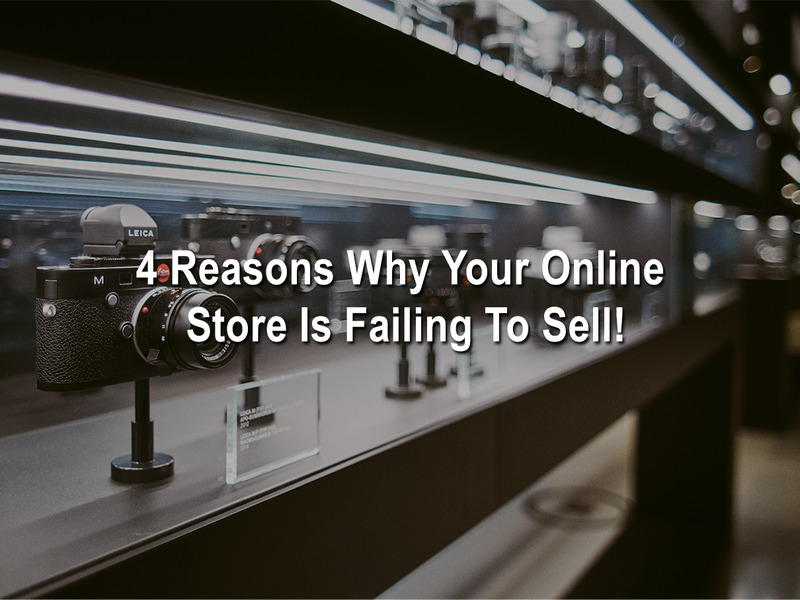 4 Reasons Why Your Online Store Is Failing To Sell! It’s extremely grievous to see that many online stores crumble just after their inception. Creating an online store is definitely easy, but nurturing it for survival is very important! Several newbies are unaware of the challenges of an eCommerce industry. They run their businesses without the knowledge of the bigger picture and hence breathe their last! Hereby, we put forth four simple reasons which are the main culprits behind an online store’s failure! Setting up an online store is definitely pocket-friendly. However, the things that follow thereafter – advertising, marketing, labor, etc., need investment. Infusion of capital at the right place and at the right time is extremely important to boost your sales. Instead of spending and managing capital for marketing, many entrepreneurs tend to spend on products which ultimately do not attract takers! So, allocate capital smartly, so that it helps you prosper and not pull you down! Website is the real breadwinner for an online entrepreneur. Nevertheless, if it turns out to be repugnant, then you are definitely going to experience a downfall. A modern website of an eCommerce business should be both aesthetic and functionally robust. It should be mobile-responsive, browser compatible and most importantly – should have quick loading time. Moreover, the visual representation should be top-notch which will force the prospects to come, check and buy immediately. Try and hire professional photographer for your product photography. If you have a shoestring budget, then use basic photography skills to compose a great picture! Online stores run on website traffic and hence you should invest aptly to target the ultimate audience. Your website might be enticing, checkout process might be easy, but if you don’t have traffic then all your efforts are futile. SEO, SERPs, social media marketing, AdWords campaigns, content marketing, email marketing, Pay-Per Click, blogging, etc., are some of the leading sources that are a prerequisite. There could be abundant entrepreneurs who sell the same products. Internet is a medium of abundant opportunities, but when it comes to competing with bigwigs like Amazon, Walmart, then various businesses lose out! Selling an iPod can be difficult for a newbie amid tough competitors. So, find a unique niche and try to develop that to the core to survive in this competitive market! Above all, one thing that eCommerce entrepreneur should keep in mind is – patience. They have a notion that they will start earning whopping amount from day one! Every business needs time, so don’t get surprised if you earn a meager amount in initial days! Just try to focus on the above points and put all forces together to overcome them!